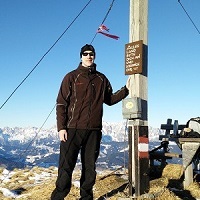 Hikers and mountaineers are often exposed to low temperatures, harsh winds and other challenging conditions – especially in mountainous regions. Hiking under these conditions is no fun unless you have the right equipment to keep you warm and protected against the elements. In winter, when the temperatures drop, you will have to put on extra layers to maintain your body’s natural temperature. This includes a mid-layer (such as a jacket) which efficiently reduces your body heat loss by trapping the body-warmed air within the fabric. Down jackets are very light for the warmth they provide and thus a great option for hiking in very cold conditions. However, note that down insulation becomes flat if it gets exposed to water/moisture and thus loses its ability to provide warmth. If you often hike in wet or humid conditions a winter hiking jacket with synthetic insulation might be a better option for you. For more information about insulation layers, check out our Comparison of Mid-Layer Materials. Here we reviewed the best down jackets to make your buying decision a little easier. If you are looking for an insulation layer for more moderate temperatures check out the Best Fleece Jackets instead. This selection includes primarily men's products. 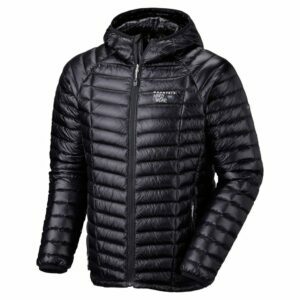 For women's products check out the Best Down Jackets for Women. 1. 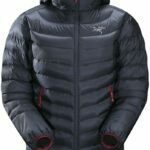 Buying a Down Jacket – What is important? The down fill power index tells us how much warmth the jacket provides for its weight. The higher the number, the more warmth is provided per ounce of down – but keep in mind that for example a jacket with 700 down fill-power can still be warmer than a jacket with 800 down fill-power, if the 700 fill-power jacket contains a bigger amount of down. Unfortunately, this also makes it heavier. The down fill-power is measured by putting one ounce of down into a standardized cylinder and compressing it under controlled circumstances. The volume of the compressed down is then measured. For example, 700 down fill-power means that one ounce of down occupies 700 cubic inches in the standardized cylinder when compressed under controlled circumstances. Read more about the down fill-power on Wikipedia. There are two types of down; regular and treated (i.e. hydrophobic) down. Hydrophobic down differs from regular down by being treated with a durable water repellent (DWR). DWR allows the down to dry faster and resist water for a longer time. Therefore, jackets with hydrophobic down insulation in average only lose around 30% of their warmth if they get exposed to moisture/water. There are two types of construction; sewn through and baffle box. Sewn through down jackets are usually cheaper than baffle box jackets but offer inferior insulation. They have the outer layer stitched directly on to the inner layer allowing the down to be separated into lines. This redistributes the down and prevents it from moving around. However, cold spots emerge in the areas where the insulation lines are separated (stitched) thus reducing the overall warmth. Baffle box construction offers better insulation because each down box has its own rectangle and therefore cold spots are eliminated. The rule is that all mountaineering and hiking equipment should be lightweight (read more about this in our article Why hike lightweight). Down jackets are in general light for the warmth they provide and therefore perfect for lightweight hiking and mountaineering. Remember that the higher the down fill power, the lighter the jacket will be for the provided warmth. 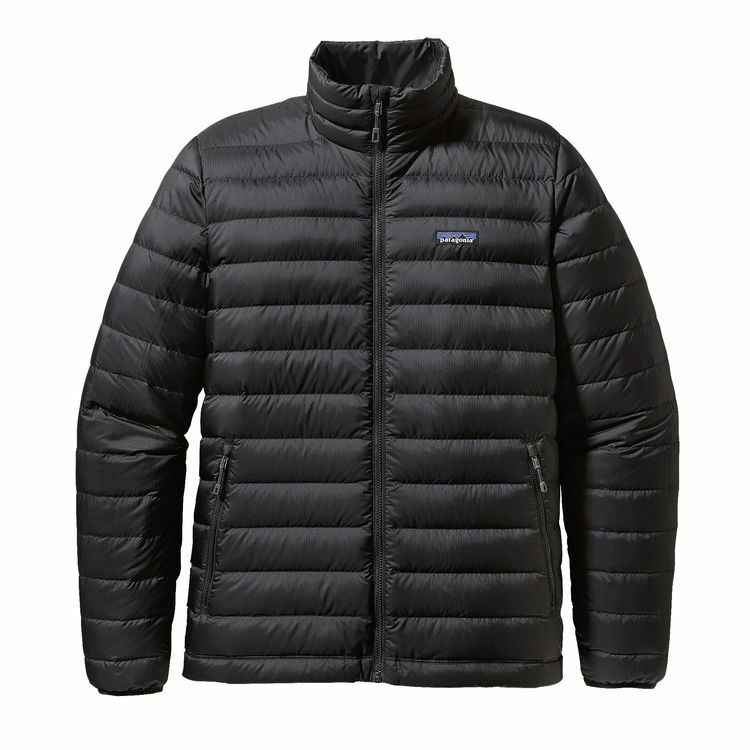 A down jacket should have conveniently placed pockets for storing hiking and mountaineering accessories. It is especially important that the pockets are easy to access even when wearing a backpack, climbing harness or other relevant gear. In cold weather you do not want to make long stops scrambling through a backpack to find a much-needed item which could be stored in the pocket of your jacket. Weight 7.7 oz. 10.4 oz. 14.5 oz. 13.1 oz. 21.3 oz.. The Mountain Hardwear Ghost Whisperer down jacket is very popular among hikers and mountaineers as it provides a good level of insulation while being super lightweight (it weighs merely 8 ounces). The insulation layer is made of 800 fill-power Q. Shield down which is treated with durable water-repellent and thus maintains basic insulating properties, even when exposed to moisture or rain. The insulation layer is protected by an outer layer made of a relatively thin Whisperer 7D x 10D Ripstop nylon, which is both windproof and water-repellant. The jacket also features an interior toggle hem which allows you to easily adjust the fit and elastic binding cuffs that keep the moisture and cold away from the body. It can be packed into its own pocket which is equipped with a secure loop, so that you can easily attach it to a climbing harness, backpack etc. The Mountain Hardwear Ghost Whisperer jacket is best for those who want a very lightweight jacket that offers a good level of warmth. 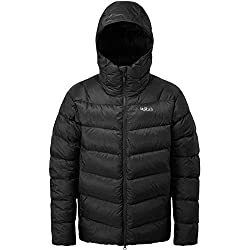 However, if you need a jacket for super cold weather the down jackets from Outdoor Research and Rab reviewed below might be better options as they contain more down per square meter and thus provide more warmth. Nevertheless, they are also heavier. The Arc’teryx Cerium LT Hoody is slightly heavier than the Mountain Hardwear Ghost Whisperer jacket but still extremely light for the warmth it provides. Therefore, it is perfect for demanding hiking and mountaineering trips. 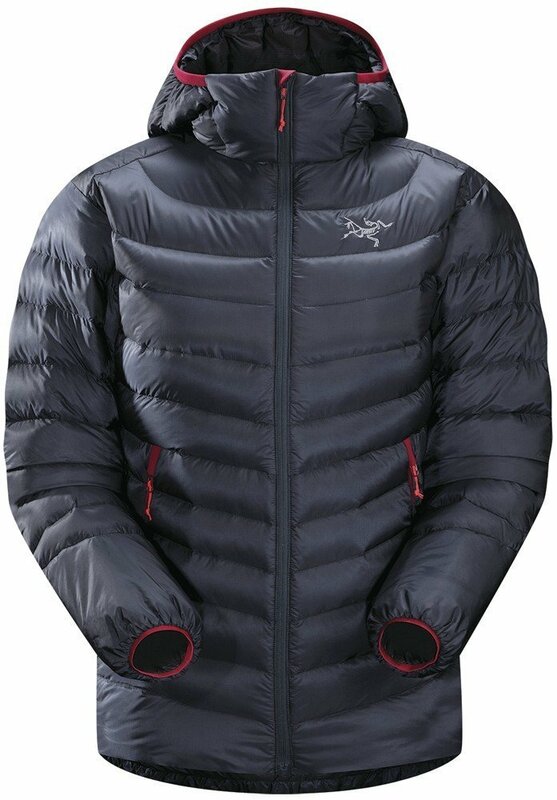 The jacket’s insulation is a mixture of 850 fill-power down and Coreloft synthetic fibers. This mixture allows the jacket to maintain insulation even when it gets exposed to moisture as Coreloft fibers perform extremely well in humid conditions. These fibers are also super lightweight and quick-drying. The Arc’teryx Cerium LT Hoody uses a down composite mapping technology which means that the Coreloft insulation is placed in areas which often get wet (shoulders, cuffs etc.). The outer layer of the jacket is made of the Airetica 20×10 denier ripstop nylon which is soft to the touch but at the same time abrasion-resistant. Additionally, the jacket features elastic cuffs, two hand pockets with zippers, corded zipper-pulls and an adjustable hood. The hood is also well-insulated to further reduce the heat loss. The Arc’teryx Cerium LT jacket comes with a compression stuff sack for easy storing. The Outdoor Research Transcendent Hoody is not as light as the jackets reviewed above, but on the other hand it is also slightly warmer. The outer layer of the jacket is made of 20-denier polyester which is soft to the touch and windproof. Under the polyester layer, the jacket utilizes 650 fill-power goose down insulation which keeps you warm in cold weather. The Outdoor Research Transcendent Hoody is equipped with a fully adjustable insulated hood, two zippered hand pockets, a zippered chest pocket, elastic cuffs and a drawcord hem. It also has two large internal pockets which are perfect for storing bulky gear such as gloves. The jacket can be packed into its own pocket, if you don’t need it on the trail. The Outdoor Research Transcendent Hoody is best for those who need a superbly warm jacket for hiking trips in very cold weather. The Patagonia Down Sweater jacket is best for those who want a jacket that provides less warmth than the Outdoor Research Transcendent Hoodie, but still more than the Mountain Hardwear and Arcteryx jackets. The jacket features a shell made of 20×30-denier recycled ripstop polyester and lining made of 22-denier polyester ripstop. The insulation in-between is 800-fill-power down which provides good warmth. The shell is also DWR-treated so that it provides some basic protection against rain. 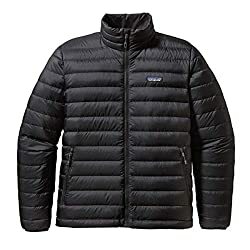 The Patagonia Down Sweate jacket is equipped with two zippered hand pockets, one internal zippered chest pocket, elastic cuffs and adjustable hem (the hem adjusts by pulling the cords in hand pockets). It can be packed into the chest pocket and attached with a carabiner to a backpack, climbing harness or other gear. When packed this way, the jacket is very small and thus doesn’t take too much space in a backpack. 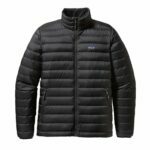 The Patagonia Down Sweater jacket is best for those who want a high-quality jacket for spending time outdoors in cold to very cold weather. The Rab Neutrino Pro jacket is the heaviest down jacket in this review, but it does provide superior warmth. 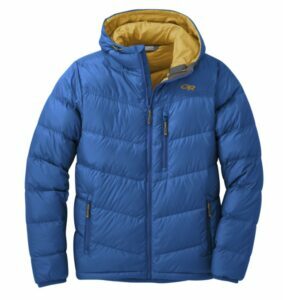 Therefore, the jacket is best for hikers, mountaineers and alpine climbers who are often exposed to extremely cold weather. The exceptionally thin Pertex Quantum fabric is used as an outer layer because it is light and provides good water/wind resistance. The insulation layer is made of 800-fill-power European goose down which due to a hydrophobic treatment dries faster, absorbs less moisture and retains greater loft when exposed to water than regular down. In addition to top quality materials, the Rab Neutrino Pro down jacket features watertight YKK zippers, elastic cuffs, a hem drawcord, a helmet compatible and down-insulated hood, two hand pockets and one internal pocket. The jacket comes with a stuff sack. The Rab Neutrino offers incredible warmth and therefore we recommend it to those who often hike in very cold conditions. 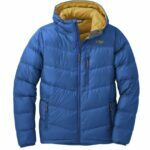 What is the difference between down jacket and synthetic jacket? Down insulation offers a better warmth to weight ratio and is very compressible. Therefore, it’s perfect for demanding hiking trips where every gram of equipment carriedd influences your performance and you only have limited space in your backpack. The biggest downside of down insulation is that it gets flat when exposed to water/moisture and thus loses its ability to entrap the body-warmed air and keep you warm. Furthermore, down insulation takes more time to dry then synthetic insulation. These drawbacks are alleviated, but not eliminated if the down has been treated. The main advantage of synthetic insulation is that it does provide warmth even if it gets exposed to moisture and water, but there are also disadvantages; it is heavier for the warmth it provides than down and doesn’t compress as good either. In dry conditions, a high-quality jacket with synthetic insulation performs similarly to a goose down jacket with a fill-power of 600 – which is a rather mediocre down quality compared to the 800-fill-power down jackets reviewed above. Yes, down is quite breathable but note that the breathability of a garment also depends on the face fabric and the inner layer. The face fabric is usually made of tightly woven nylon or polyester to provide protection against the wind and rain. This reduces the breathability of the garment to some extent. A puffer jacket is just another name for a down jacket. 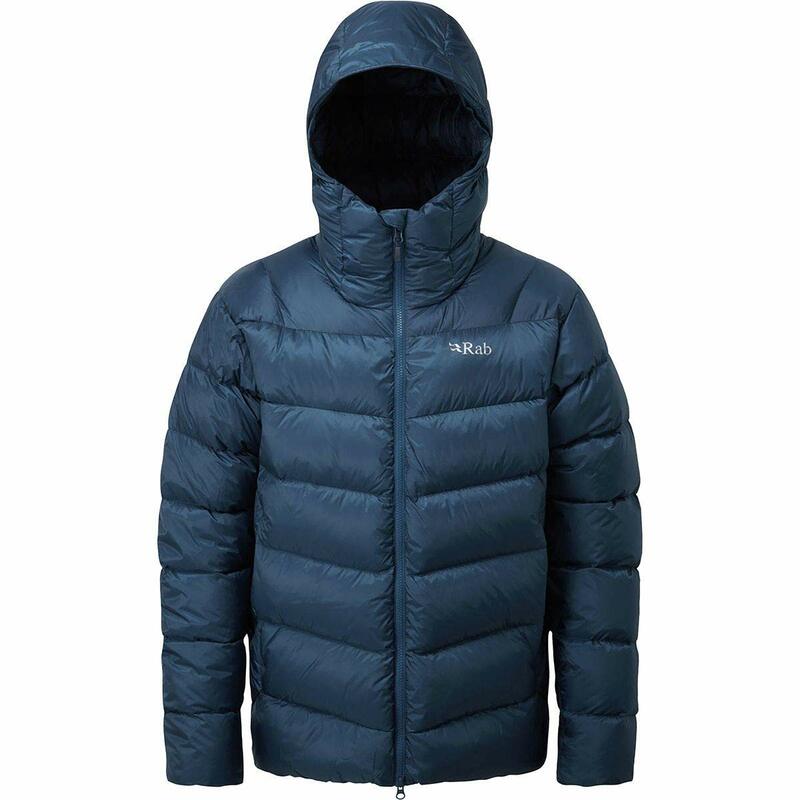 A down jacket features goose down insulation which provides good warmth and is very light. How do you wash a down jacket? Most down jackets can be machine washed at 30 C. You should skip the spin cycle and let the jacket to drip dry. Don’t use fabric softener and don’t tumble dry.